When released in 1979, Monty Python's Life of Brian was instantly banned in a number of countries due its supposedly blasphemous content, and faced countless angry protests from incredibly disgusted people who, more often than not, hadn't seen the film itself. In fact, so numerous were the written complaints that the Monty Python team had no option but to compose the following form letter with which to respond. Thousands were sent. 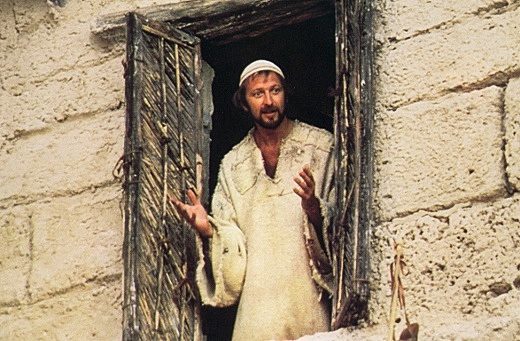 Thank you for your letter regarding the film Monty Python's Life of Brian. Whilst we understand your concern, we would like to correct some misconceptions you may have about the film which may be due to the fact that you have not had the chance to see it before forming your views. The film is set in Biblical times, but it is not about Jesus. It is a comedy, but we would like to think that it does have serious attitudes and certain things to say about human nature. It does not ridicule Christ, nor does it show Christ in any way that could offend anyone, nor is belief in God or Christ a subject dealt with in the film. We are aware that certain organizations have been circulating misinformation on these points and are sorry that you have been misled. We hope you will go see the film yourself and come to your own conclusions about its virtues and defects. In any case, we hope you find it funny.